It’s the (hopefully) slow time of mid-summer, and it’s time when you can can step back from your day-to-day work for a breather. 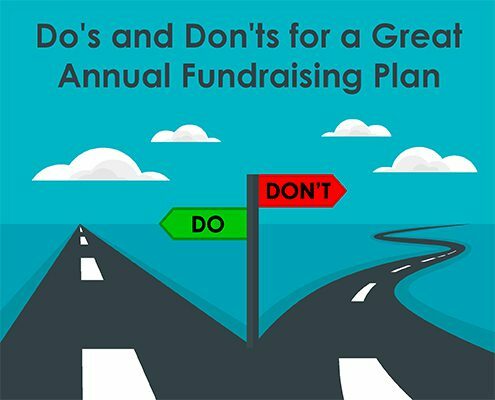 AND – It’s the time when many fundraising shops look ahead and create a detailed, annual fundraising plan for the coming year. 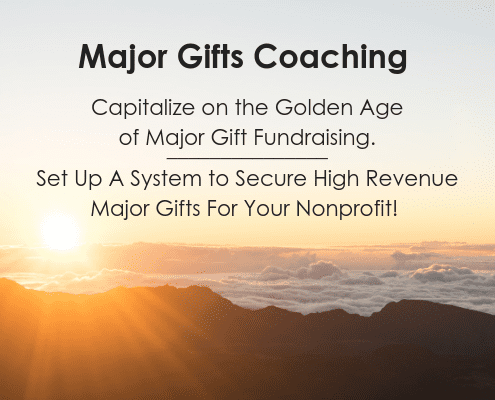 I can assure you that a smart annual fundraising plan that lays out your strategies for the upcoming year is your road map for expanding your results! We all know that a little planning now helps you stay sane later when things get really busy! And helps you organize your resources so that you are both efficient AND effective! 1. Overly optimistic and unrealistic. Be careful about being overly optimistic about what your team can humanely achieve. Some overachieving teams are so ambitious that they overload their plan. They add in everything they need to do and then they add the strategies they WOULD LIKE to do. I think it’s wonderful to be aggressive, but really now – do you want to commit to strategies that are impossible to achieve? Do you want to run your team ragged? Be completely realistic about what you and your staff can actually pull off in excellence! I am often surprised to see fundraising goals just pulled out of the air. 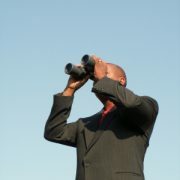 and most importantly – exactly what strategies and tactics will be implemented to reach the goal. Don’t ever commit to a goal without knowing that you can actually make the numbers. 1. Your plan chooses what your team will do and what it won’t do. Many famous management consultants say that it’s just as important to choose what you will NOT do. Why? Because you are making choices based on a realistic assessment of your opportunities, track record, staffing and budgetary resources. For example, if you only have staff to do 2 events, then you are not going to plan to do 4 of them. Any plan is important for what it chooses to get done. It’s also important for deciding what NOT to do. 2. Your plan sets priorities. Your plan forces you to set priorities. Some things you just can’t avoid – events, board meetings, grant proposals, and reports – these things are already cast in concrete. Once those must do’s are on the calendar, each team member can then take a realistic look at how much time is left over for the rest of your priorities. Want to know one of the biggest problems I see in many fundraising shops? 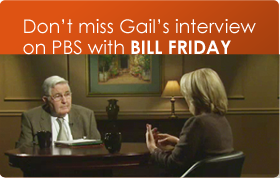 It’s this – the work load constantly expands, but no extra staffers are hired. Clearly, this leads to frustration, drama and burnout of the fundraising team members – which doesn’t lead to high productivity. With limited time and staff, you will have to raise some jobs and tasks to a higher priority level than others. 3. 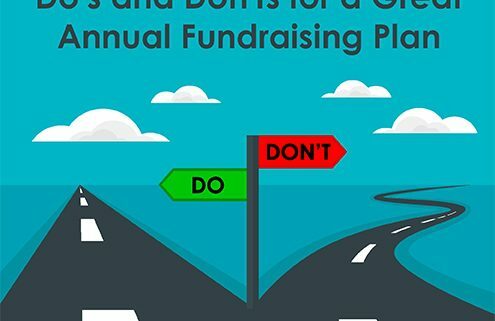 Your annual fundraising plan dovetails with your organization’s business plan and goals. Clearly your annual fundraising plan doesn’t live in a vacuum. It needs to be completely aligned with your organization’s overall activities and plans – both short term and long term. For example, perhaps you are a performing arts organization planning to stage 4 performances this year. Your fundraising plan will structure appeals and events around these performances. Or you are an after-school child-care center planning to expand into an additional school district. Your annual fundraising plan will focus around this expansion in all your appeals and events. Base your annual fundraising plan on your organization’s operational plans for the coming year. 4. Your plan is based on current reality. 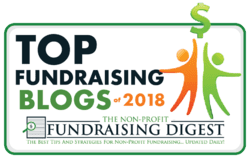 Your fundraising should start with a thoughtful assessment of where you are, what you have to work with, your challenges, and your unique strengths and connections. Start your planning by taking stock of how well your current strategies are doing. How can we tweak our current work and make it more effective AND more efficient? What’s working now? What’s not working so well? Your current numbers and your trends – unemotionally! Your staffing – including organizational structure, responsibilities, skill sets, work loads, training needs and how well everyone is working together – or not. That’s where your fundraising plan has to start! It’s really important now to step back and organize yourself – and your office – and ALL your strategies and tactics – for the coming year. I can promise you that if you DO create a smart plan – you will have focused, well-thought-out and doable strategies. 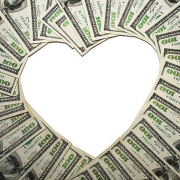 You’ll sleep better at night AND you’ll raise a lot more money! 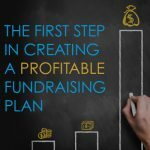 If you would like my help in creating your OWN annual fundraising plan, you should check out our Highly Profitable Fundraising Toolkit video step-by-step course. The Toolkit gives you the templates, checklists, assessment formats – all the tools you need to create your BEST plan for the coming year. The Toolkit takes your through a full assessment of how well you are doing and how much money is on YOUR table. Then it guides you to set financial goals and detailed action plans for the coming year so you can systematically go after all those gifts and contributions. 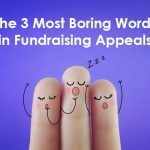 The Must-Do First Step in Creating a Profitable Fundraising Plan What are the 3 Most Boring Words in Fundraising Appeals?